The Practice will continue to offer on the day appointments for urgent matters that cannot wait until the next free pre-bookable appointment but this may not be with the Minor Ailments practitioner or GP of choice. These appointments will be spaced throughout the day and will be given out in time order. The Duty GP will continue to deal with telephone queries throughout the day. Please note that application forms for Online Services (Appointments and Prescriptions) are not yet available for collection, either at Reception or online. More information about the introduction of this service will be available in the coming weeks. The practice runs open access surgeries in the mornings and pre-bookable surgeries in the afternoons. These can be booked by telephoning 019755 62253 or directly at the appointment desk during opening hours. 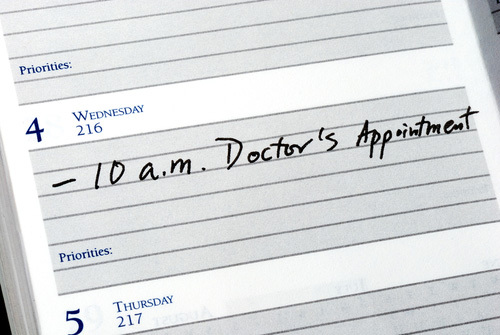 Routine appointments will usually need to be made in advance. Please note doctors stagger their consultation days/times to allow early and late appointments. Please arrive in good time for your appointment and always book in at reception. On occasions, surgeries can run late because earlier consultations have taken longer than normal or your doctor has been called out to an emergency. If you have been waiting longer than 20 minutes please ask the receptionist for an explanation. Remember there are lots of reasons for the doctor to be running late; a previous patient may have arrived late or brought several problems, someone may have required a longer appointment than expected - this is very common if a patient needs to be admitted to hospital. Very occasionally the GP may have been called out on an urgent housecall. We would ask for your understanding and patience as such times.We ask for your understanding and patience at such times. Extended hoursappointments are offered on Wednesday mornings between 07:30 and 08:00 and on occasional Saturday mornings, however you will not be able to contact the practice during this time. Please be aware that they are pre-booked appointments only, and there will not be access to nursing services (such as blood taking, ECGs etc) at the same time. You may need to book a separate appointment to arrange such investigations. Ring the surgery on 019755 62253 preferably soon after 08:00. Genuine emergencies will be seen in an emergency surgery each morning, if the problem cannot wait for a routine appointment. You may not be able to see the doctor of your choice and you may have to wait. Please do not come into the surgery expecting to see a doctor immediately. 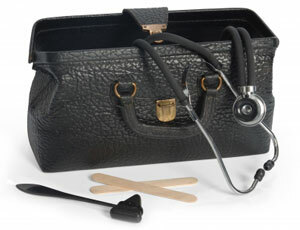 In a number of cases it might be worth considering an appointment with a practice nurse rather than a doctor. Practice nurses are qualified to deal with many ailments and you may be seen more quickly, however, they are unable to prescribe medication. Nurse appointments are currently available between 08:30 – 15:40 and can be made by telephoning 019755 62253 or directly at reception during opening hours. The surgery is closed during public holidays and occasionally on wednesday afternoons for staff training. During these closures medical cover is provided by NHS 24 and GMED. To access this service phone the surgery and a recorded message will give you the number to call. Alternatively dial 111 or visit http://www.nhs24.com/. Many minor complaints can be treated at home, you do not always need to see a GP or Minor Ailments Practitioner. Often for minor ailments such as earache a GP/Minor Ailments Practitioner will only recommend trying simple pain relief for 48 hours. Remember for colds, coughs, earache and conjunctivitis, antibiotics are rarely recommended where symptoms have been present for less than 48 hours. Eye problems are best dealt with by an optician, all the local opticians offer urgent/same day appointments. Dental Problems are best dealt with by a dentist, all the local dentists offer urgent/same day appointments. Remember you should see the nurses for health and lifestyle advice, blood pressure checks and blood tests. At particularly busy times if it becomes apparent during the consultation that you will require bloods tests or swabs do not be surprised if the GP asks you to make an appointment for the nurse for these. If a consultation is taking longer than 10 minutes the GP/Minor Ailments Practitioner may well ask you to make a further appointment. Other health resources such as the local pharmacy or on-line services such as http://www.nhs.uk/Pages/HomePage.aspx which has lots of helpful information. http://www.patient.co.uk/ is another very useful resource. Every afternoon we offer pre-booked appointments from 14:30-17:30. Surgeries are staggered throughout this time to allow earlier and later appointments. These appointments are made by telephoning in advance. Please arrive early for your appointment and always check in at Reception so the doctor knows you have arrived. Appointments are 10 minutes long and are for one person only. Please try to avoid bringing lists of problems as this causes the GP/Minor Ailments Practitioner to run late and is not fair on other patients waiting. Pre-booked appointments can be made with the GP of your choosing. Bear in mind you may have to wait a few weeks to see the GP of your choice. Please be aware that sometimes you may have to wait if the doctor/Minor Ailments Practitioner is running late. If you have been waiting longer than 20 minutes please ask the Receptionist for an explanation. Remember, there are lots of reasons for the doctor/Minor Ailments Practitioner to be running late; a previous patient may have arrived late or brought several problems, someone may have required a longer appointment than expected - this is very common if a patient needs to be admitted to hospital and, very occasionally, the GP may have been called out on an urgent housecall. We would ask for your understanding and patience as such times. Whilst we encourage our patients to come to the surgery, where we have the proper equipment and facilities available, we do appreciate this is not always possible. In this respect, if you do need a home visit, you can help us by calling 019755 62253, preferably before 10:00. The doctors do their visits over lunchtime and we would ask you to try and avoid requesting a housecall in the afternoon unless it is urgent as the doctors are consulting. Housecall requests are at the doctors discretion and for non urgent visits the GP may phone you to determine the nature of the problem and, if your usual GP is not available, the visit may be deferred to the next day when your usual doctor is available. Remember we cover a very large area and 4 or more patients can be seen in the surgery in the time it takes to do one housecall. It is not appropriate to request a housecall because you do not have transport to the surgery. Many problems can be dealt with over the phone and do not require a face to face consultation. 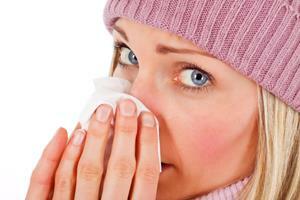 You may call the surgery anytime between 08:00 and 18:00 on 019755 62253 and ask for a call back from the Duty Doctor. A Receptionist will ask for your name, date of birth and a contact number that you can be reached at all day. The Receptionist will also ask for a brief description of the reason for your call so that the Duty Doctor can prioritise their list of calls, eg chest pain, request for sick note, discuss hospital letter/medication. If your call is regarding a request to be seen that day and no appointments are available you will be asked to give a brief description of the problem and be added to the Duty Doctor list. If your call is deemed to be urgent you may be passed to the Duty Doctor or any available doctor rather that waiting for a call back. Please bear in mind that the doctors will not return phone calls during consulting times or when they are out on home visits. During these times the Receptionist will take your details and a phone number and the Duty Doctor will call you back as soon as possible. If you phone late in the day, please be aware that the Duty Doctor may not be able to return your call that same day, unless you have made the Receptionist aware that the problem is urgent. 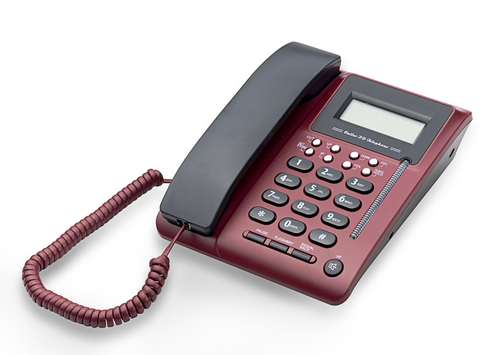 As a rule, we will generally not leave voicemail messages due to confidentiality. Please note that hospital doctors can also issue a Fit Note to cover any time you have spent in hospital. Alford Medical Practice is a University of Aberdeen accredited teaching practice. This means that, from time to time, trainee nurses and doctors will be at the practice. We believe in delivering excellent training to the young doctors and nurses of the future and you may therefore find a medical student sitting in on your consultation. If you would prefer not to have the student in attendance then please let the Reception staff or the GP know. The medical students attending the practice are usually very senior and may be in their final few months before they become fully qualified doctors. Many of these students have elected to come to the surgery because they want to be GP's. An essential part of their training is to learn to practice independently. If you agree to see the student, you may find that you will be seen firstly by the medical student who will take a history from you and conduct any appropriate examination before calling the GP/Minor Ailments Practitioner through. In these situations, you will always also be seen by the GP/Minor Ailments Practitioner and the GP/Minor Ailments Practitioner will be responsible for any medications that need to be prescribed. Please be aware that throughout their 6 week attachment students will have access to patient records and will often use information in records to perform a small research project which will be used only within the practice. Should you prefer that the student does not have access to your records please inform Reception staff. The GP responsible for medical student training is Dr MacDonald. Occasionally the practice will close on a Wednesday afternoon for staff training. These closures will be advertised on the surgery door. During these times urgent medical cover will be provided by NHS 24/GMED. The dates of closure can be found in Opening Times under the NHS Public Holidays/Training tab.